Sort Photos and delete duplicate Photos with "SortPix XL". Manage your photos fast and easily. 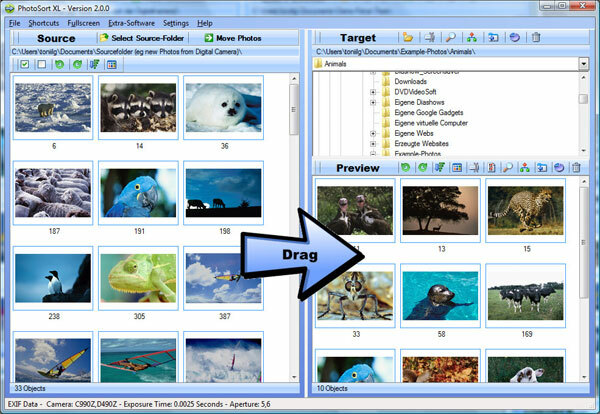 First create folder structures, then drag Photos with the mouse to sort them. In little time you bring back clarity to your hard disk. Also include is a Photos duplicate cleaner or duplicate Photo finder.